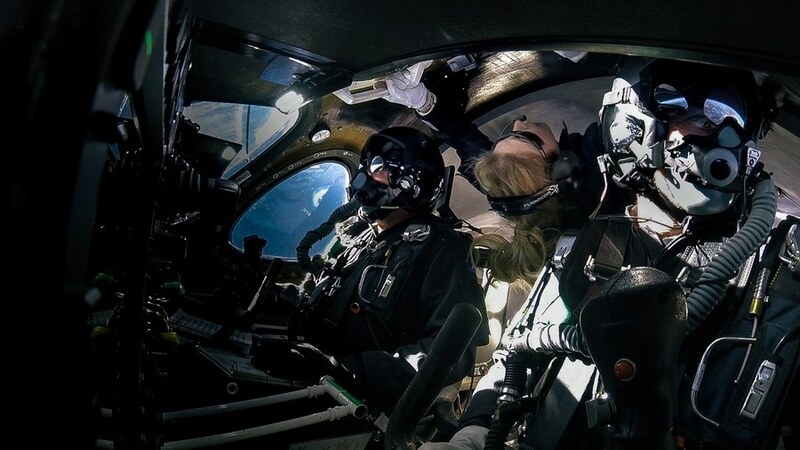 Mojave, California, USA (22 Feb 2019): Today, Virgin Galactic conducted its fifth powered test flight and second space flight of its commercial SpaceShipTwo, VSS Unity. Please find reporting materials below for news coverage and multimedia reporting. This space flight means Chief Pilot Dave Mackay and co-pilot Michael “Sooch” Masucci become commercial astronauts and the 569th and 570th humans in space. 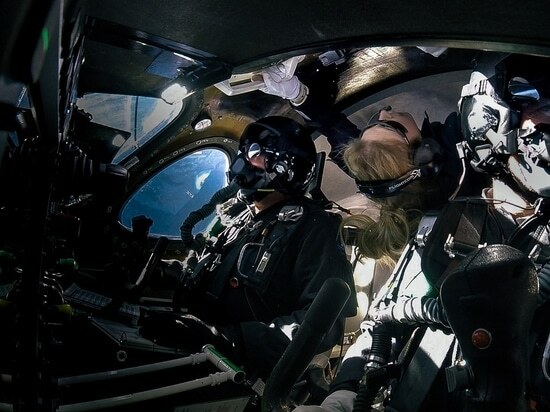 Beth Moses, Virgin Galactic’s Chief Astronaut Instructor, flew as the third crew member in a first, live evaluation of cabin dynamics. 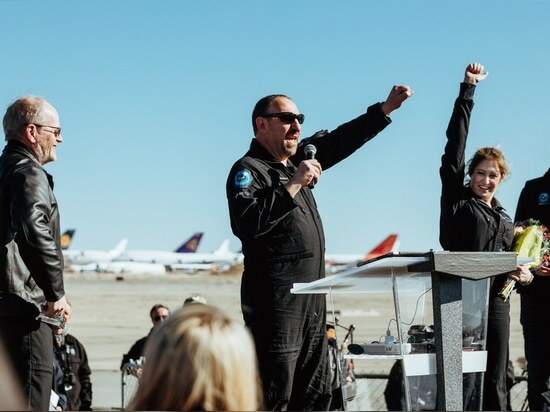 She is the 571st person to fly to space and the first woman to fly on board a commercial spaceship. 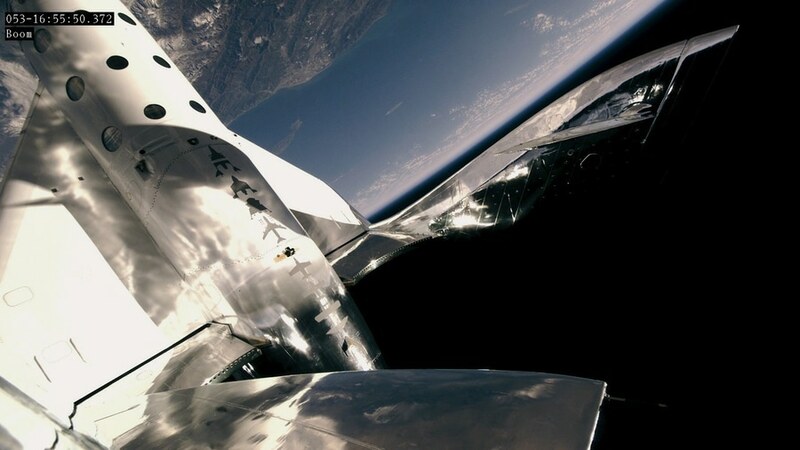 In addition to this element of envelope expansion, VSS Unity flew higher and faster than ever before, as its world record-holding hybrid rocket motor propelled the spaceship at Mach 3.04 to an apogee of 295,007ft. 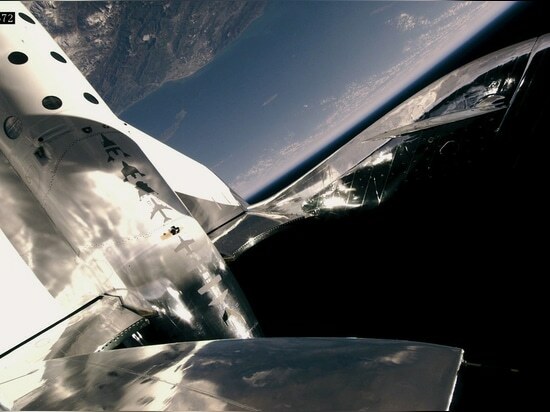 The crew enjoyed extraordinary views of Earth from the black skies of space and, during several minutes of weightlessness while the pilots “feathered” the spaceship in preparation for a Mach 2.7 re-entry, Beth floated free to complete a number of cabin evaluation test points. The human validation of data previously collected via sensors, and the live testing of other physical elements of the cabin interior, are fundamental to the provision of a safe but enjoyable customer experience. 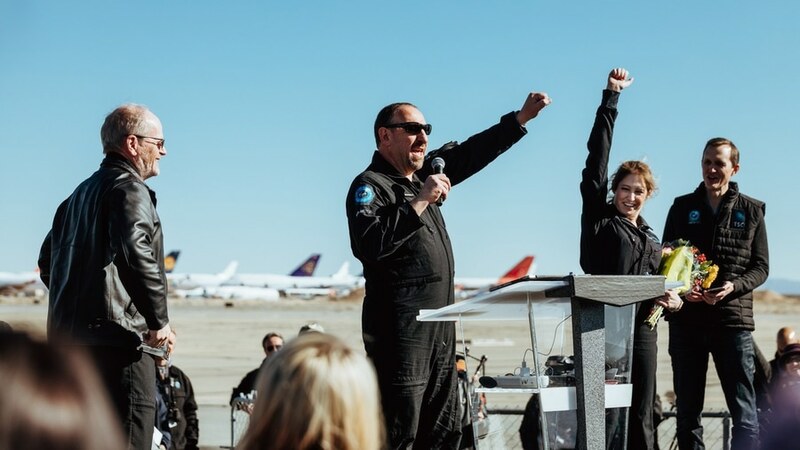 The glide back home was followed by a smooth runway landing and a rapturous reception from the crowd on the flight line, which included staff and some of Virgin Galactic’s 600 Future Astronaut customers. Chief Pilot Dave Mackay, a born and bred Scotsman as well as an ex-RAF test pilot and Virgin Atlantic Captain, led his crew of newly qualified astronauts from VSS Unity accompanied by a kilted piper. Today’s flight notched several additional firsts for the industry: The flight was the first time that a non-pilot flew on board a commercial spaceship to space, and it was the first time that a crew member floated freely without restraints in weightlessness in space onboard a commercial spaceship; it was the first time that three people flew to space on a commercial spaceship, and Dave Mackay became the first Scottish-born astronaut (Brian Binnie, who was raised in Scotland, flew to space in 2004).